Do you throw used coffee grounds in the trash? That’s a genuine waste, as they’re good for all sorts of things: from fertilizing your plants to furnishing the office. But with the amount of coffee brewing waste produced just in the developed world – the Brits, for instance, buy 1.7 billion cups of coffee every year (and they’re not the biggest consumers of it in Europe) – there’s plenty of room for new ways to make responsible use of this waste stream. London-based startup Bio-bean exists for that very purpose: to turn used coffee grounds into energy sources. Their first project, for which they’ve just started collecting grounds, involves turning the material into biomass pellets that can be burned in boilers. The company will start collecting from 100 cafes in the city, and expects to create enough pellets to heat about 1000 homes by the end of the year. At peak production, though, the company plans to produce enough fuel to heat over 15,000 homes. 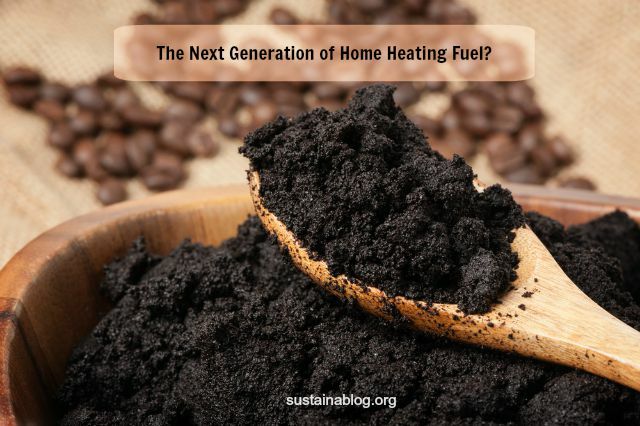 Heating pellets are just one product Bio-bean plans to derive from coffee grounds: they’re also at work on a process for creating biofuel, as well as extracting useful chemicals. And they’ll do all of this with a feed stock that – for now, anyway – cost them only the price of collection and transportation: it’s cheaper for cafes to give those used coffee grounds to Bio-bean than to pay for traditional disposal. Vice’s Munchies channel takes note of a number of other projects by a variety of companies for making use of coffee grounds: Nescafe and Starbucks are among the players looking for innovative (and profitable) ways to make use of used coffee. If you know of others, from startups or established players, let us know about them in the comments.